160 Pages! In 1946, an alien virus is accidentally unleashed that changes the world forever. Most of those infected die horribly, said to have drawn the Black Queen as their fated card. Ninety percent of those who survive mutate into Jokers - deformed, broken, hated, and feared. But a handful are lucky enough to become Aces, gaining superpowers that allow them to achieve almost anything the mind can conceive - both in dreams and in nightmares. Sixty years later, an Ace named Croyd Crenson, better known as the Sleeper, is framed for the murder of a young nurse in New York City's Jokertown. 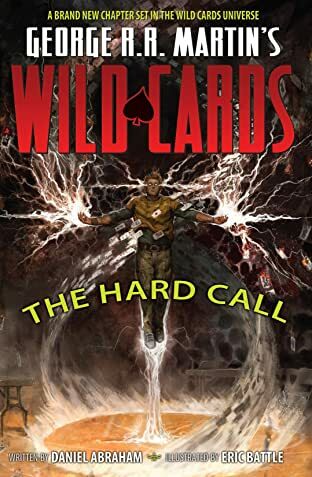 As Crenson investigates the killing to clear his name, he has to fight to stay awake, or else his unusual ability will change him into something else entirely. Meanwhile, a group of teenagers in Whiteoak, Colorado, accidentally activate the dormant wild-card virus, wiping out nearly the entire town. As the teens are sent to the Jokertown clinic, they discover that not all Jokers are bad and not all Aces are good. 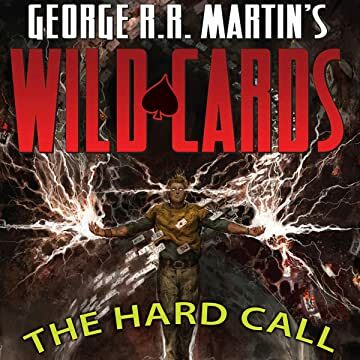 Set in the world of the novels edited by George R. R. Martin and featuring a brand-new set of characters, as well as appearances from many old favorites, Wild Cards: The Hard Call is an original story written specifically for comics that will enchant new readers and old fans alike.